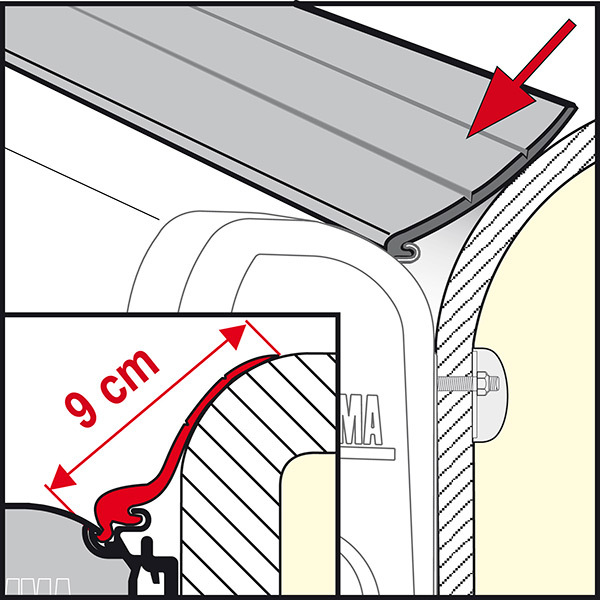 Convenient rubber guard to seal the space between the awning and the vehicle wall to prevent water infiltration. 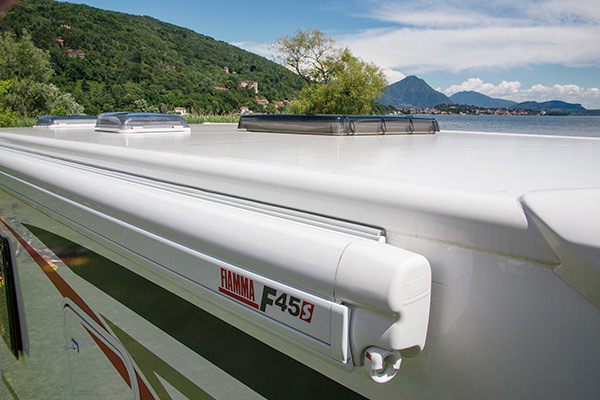 RAIN GUARD LOWERFor awnings F45s/L a with suspended installation spaced from the wall. Installation in the special guide of the case. RAIN GUARD SFor awnings installed with standard AS 120 brackets on flat walls. 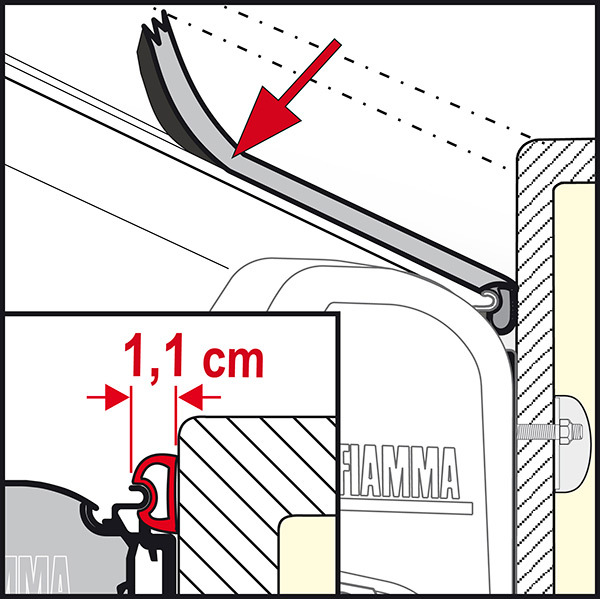 RAIN GUARD MFor awnings, mounted with adapter spaced out from the wall (up to 4cm) or on curved walls. 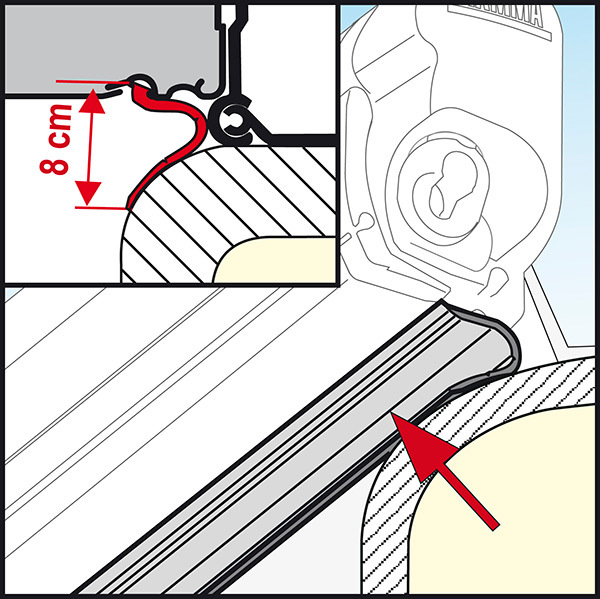 RAIN GUARD LFor awnings, mounted with adapter spaced out from the wall (up to 9cm) or on curved walls.